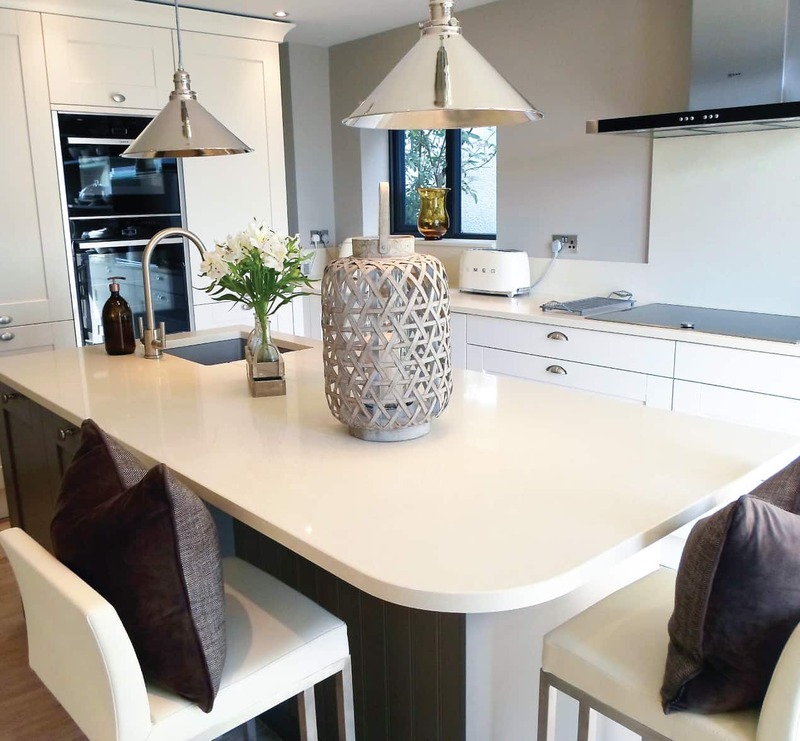 Seeing a perfect opportunity to make a brand new start with their kitchen, there was no question for Mr and Mrs Beyer about where to find the very best kitchen design team for the job. 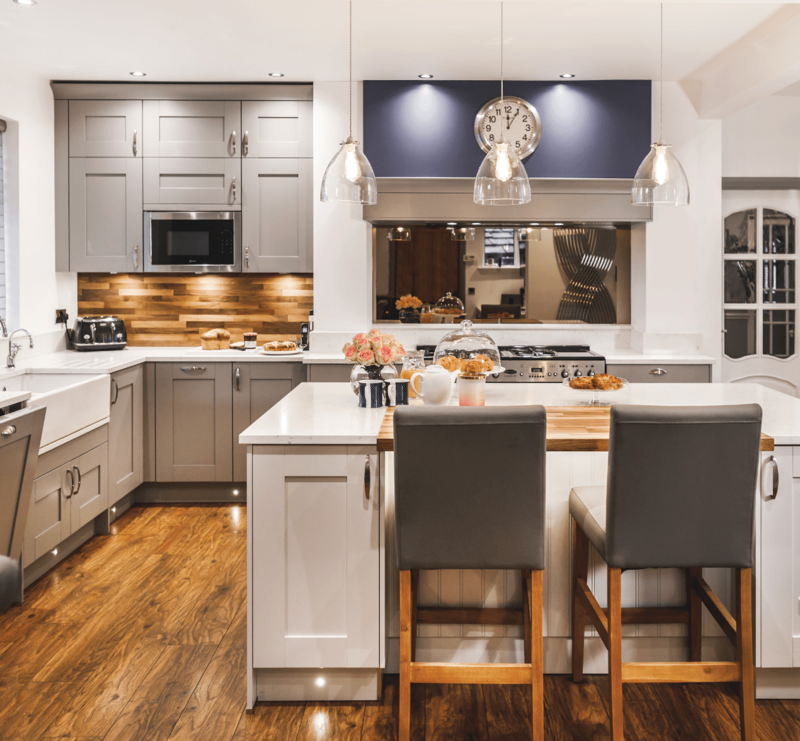 The Kitchen Design Centre showroom in Colne had caught their attention several times before, and they regularly found themselves popping in for some design inspiration – so when the time came, they knew just who to turn to. 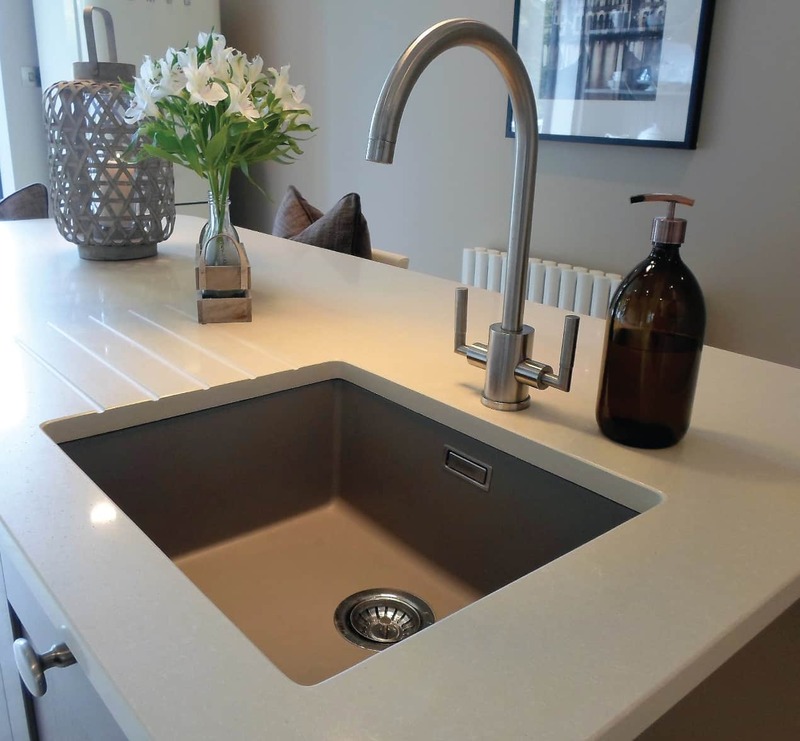 With skilled designer Maxine Hutchinson taking charge, KDC offered a full end-to-end design and installation service that saw the Beyers’ kitchen completely revitalised, in a wonderfully traditional style that perfectly fits the mood of their newly renovated house. 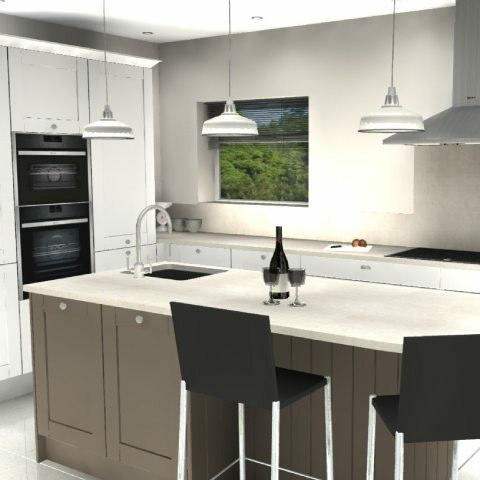 Through a series of detailed conversations with Mr and Mrs Beyer, Maxine built up her vision for both the look and feel of the new kitchen. 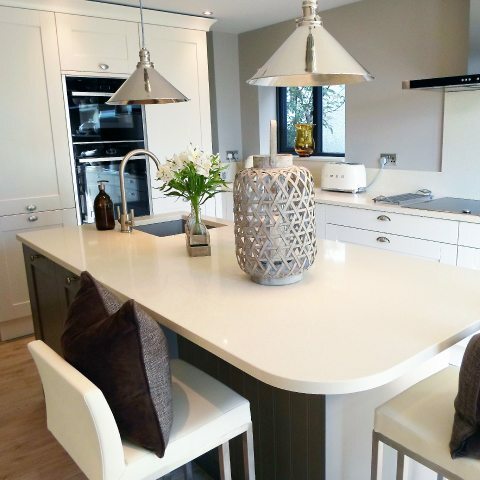 Using her passion and creativity together with finely honed design instincts, she then arranged the appliances and layout to allow the maximum amount of available space – giving Mr and Mrs Beyer from Barnoldswick a bit of freedom to roam when cooking or serving up. Making plenty of use of the abundance of natural light (not a resource every kitchen is blessed with!) Maxine transformed it into a comfortable room that’s now not only a place for cooking, but for living and socialising too. 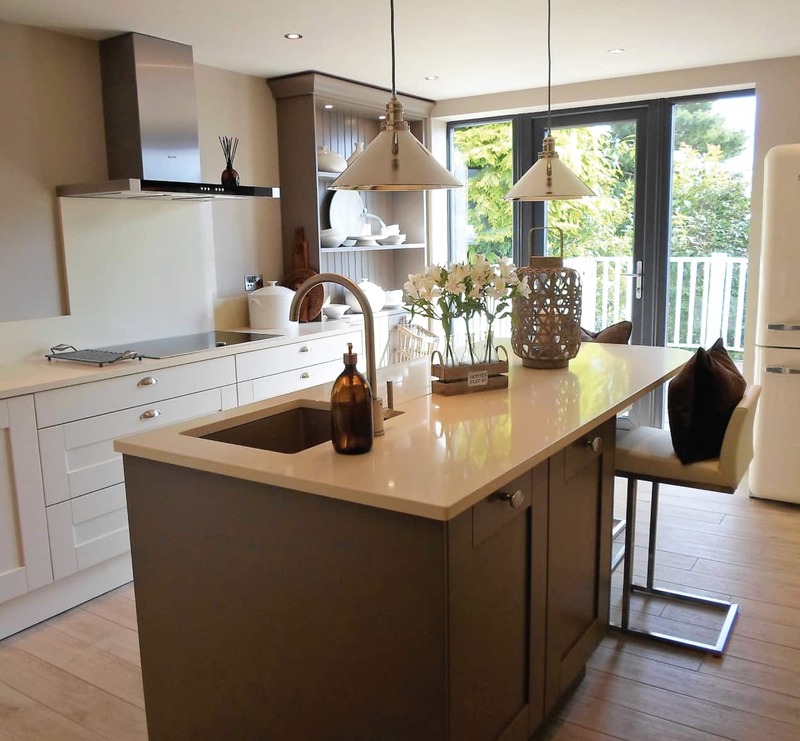 The final result features a sumptuous quartz breakfast bar, which gives the area a great, cosy sociable feel. Since having a place to display their prized collection of cookware formed a key requirement of the Beyers’ design brief, Maxine designed a dresser to be both a storage solution and a focal point of the kitchen, becoming an integral part of its traditional style. 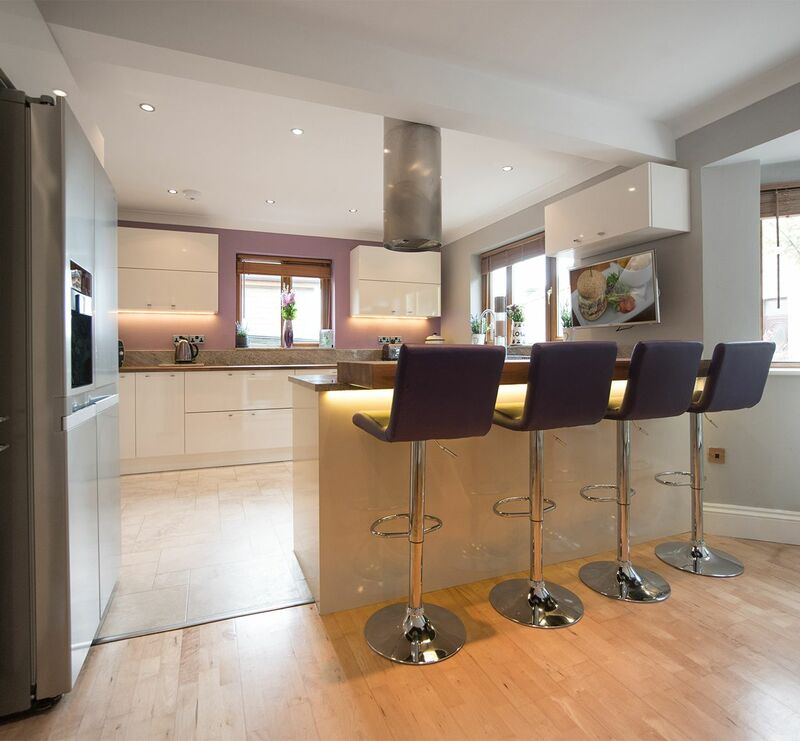 A beautifully understated neutral colour scheme gives the kitchen a clean, uncluttered look, which is lit by soft white mood lighting. Mr and Mrs Beyer themselves enhanced this look by choosing plush white fabrics for their barstools, complemented with muted dark cushions to complete the effect. 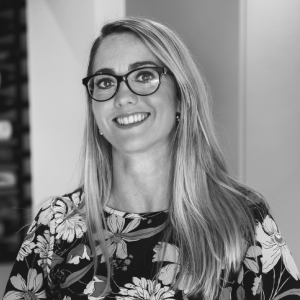 Of course, functionality and practicality is the very essence of any kitchen, so as well as the style and creature comforts, efficiency was another guiding principle for Maxine. 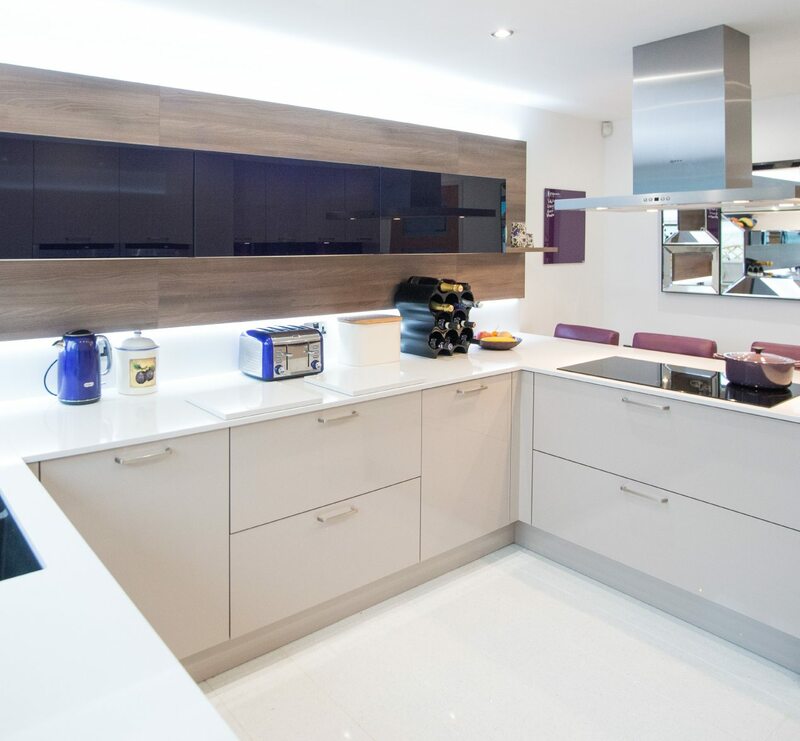 All the clients’ new appliances follow this golden rule, from the combination slide and hide oven to the flex induction hob, integrated dishwasher and the extractor fan. Each one is produced by Neff – an industry leader in kitchen appliances. 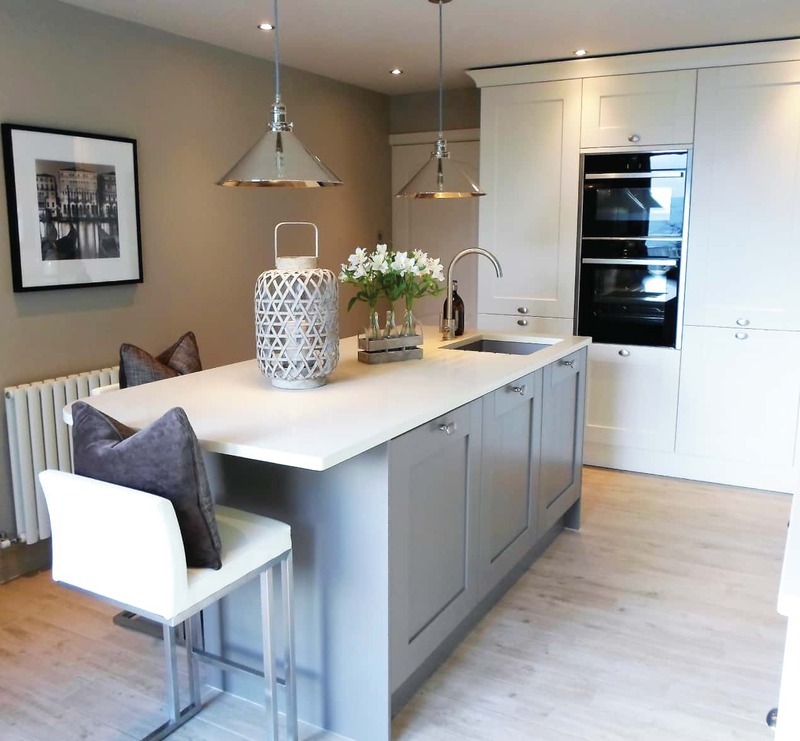 As Mr Beyer was keen to emphasise, only the finest materials were used throughout – the cabinetry is in an elegant Oxford style in an unassuming magnolia shade, while the worktops and splash back are made of Marfil quartz. 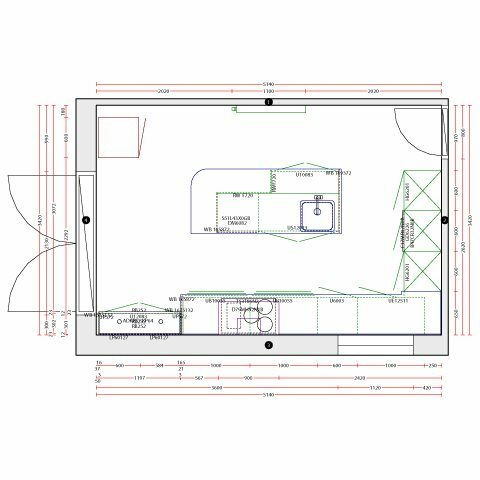 "KDC were excellent – Maxine was great at not only designing, but also listening to our ideas. The fitter was very professional and worked seamlessly with the electricians, plumbers and other tradespeople around the Barnoldswick area that we had in there." "Mr and Mrs Beyer were a pleasure to work with from start to finish. She provided me with a mood board and a detailed brief which was extremely helpful in coming up with a design that met her tastes and expectations. She also had a collection of Sophie Conran ceramic ware that she wanted to display, so we came up with the design of the dresser to fulfil this part of the brief. 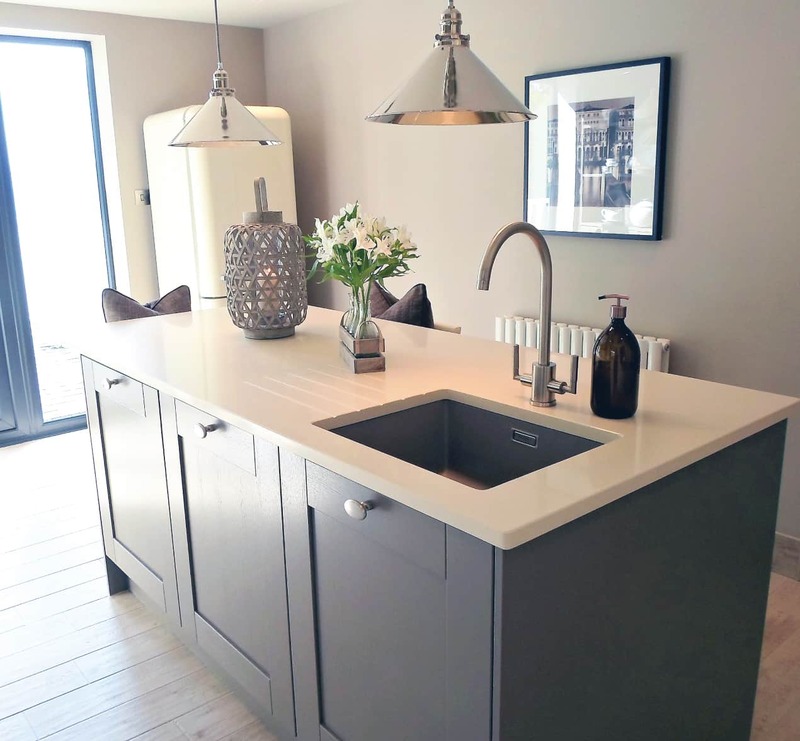 We had similar ideas on design, fixtures and fittings which complement the overall aesthetic of the kitchen. "